This is my latest bead embroidery project. This time I have more of an idea of what I want to do. 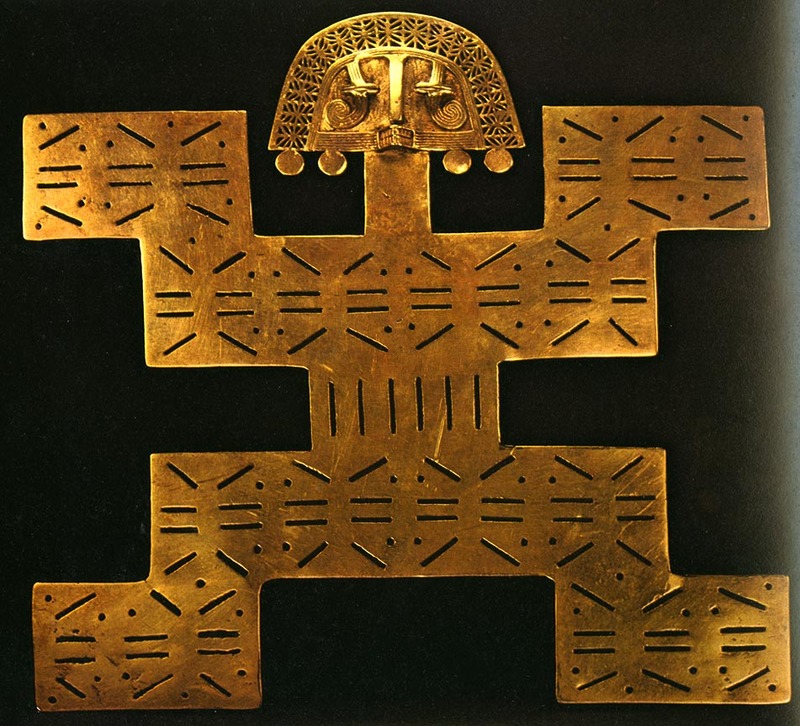 The design is based on a Tolima style breastplate. I have always been inspired by Mexican artifacts. 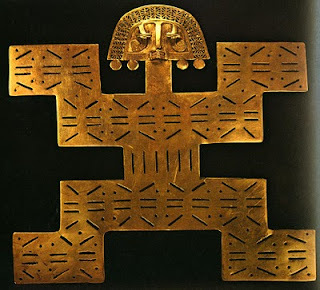 The original, which was made of gold, was pierced in a very interesting way, as you can see in the photo below. I will try and post more process photos as I go. I love the matte black AB beads. The colors are really lovely. That's a gorgeous piece to be inspired by, no wonder you were drawn to it! And your embroidery looks beautiful already. I like that the beads around the border have that finish, it reminds me of maize. It's going to be gorgeous! I love how you make things that have a history attached to them! For most of my life I have been a painter. I have worked in pen and ink, watercolors, gouache, oils and acrylics. I have always painted the world around me in all its true splendor. For many years I lived in the tropics and painted the lush plant life that surrounded me. When I left the tropics and moved out into the country I painted landscapes of the local farms and my wonderful vegetable garden. Now that I am living in the Sonoran desert, I am influenced by the very unique and wonderful looking cactus and flowers I see on my walks. Thank you for looking at my work and please get in touch if you would like to purchase something.